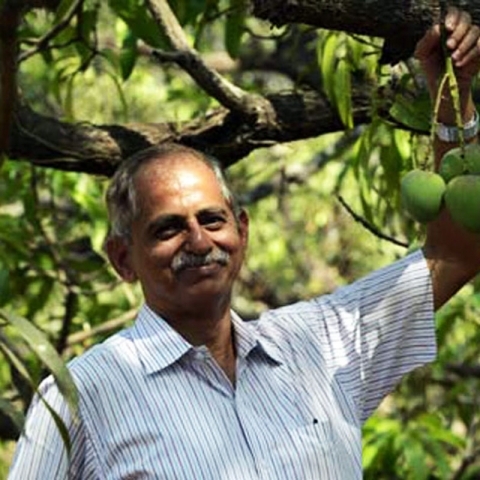 Umesh Lanjekar is a certified organic Mango farmer from Ratnagiri. It has taken Umesh years and years of hard work to grow the best Alphonsos in Ratnagiri - 100% organically. He introduced the concept of virgin farming in the region and has pioneered many a new farming methodologies for fruit farmers in Ratnagiri Region. Locally Umesh is known by two names - the "MAD MAN" and the "Donkey" because of the amount of hard work he puts in and how particular he is about his farming practices. A fourth generation farmer, Umesh is India's first EUROGAP farmer and holds a load of other organic certificates.